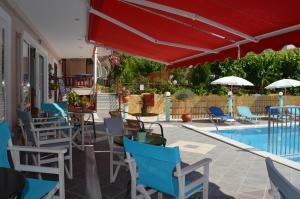 Very nice owner and staff, the location and view is perfect for having a perfect vacation. The facility is very clean and has everything you need. Recommend. Everything was great! Location was good, maybe 10min light walking from Nydri center. Room were cleaned up every day, towels were changed every day. They even wash the dishes we left in sink one day! We used the pool a lot, which was clean and nice. They have a lot of place for parking. Owner is very cool and kind :) We couldn’t stay more than 4 days, instead of 10 because we had urgent situation, and he return us money for that 6 days! We were very surprised and grateful. Thank you very much! :) Great value for money! We will certainly come back! Extremely clean apartman. Nice location, close to everything. Room with sea view was amazing. Location was good. Room was clean. Staff was polite and ready to help for anything. Value for money. Spotless place. The towels were changed every day. The room, bathroom and balcony were cleaned up every day. Very large, comfortable room with kitchenette. Very kind stuff. A lot of place for parking. Very nice hotel with pool, the hosts were very kind and the rooms are cleaned every day. 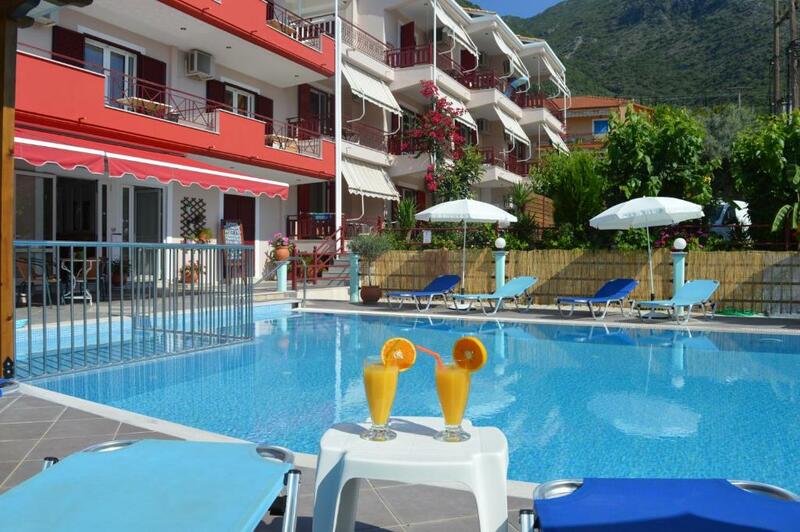 Good location, 10 min walk from Nidri center. The balcony with sea view was very good and big enoght for haveing breakfast on it. It was amazing place! Amazing view, very kind stuff and very clean! Strongly recommend! The fact that it was close to Nidri, it was clean and nice. We had a late night check in and the owner showed us to our room and opened the bar so we could have a drink on arrival. The hotel was quiet and around a 20 minute walk into town. Our room was cleaned everyday, with fesh towels. We used the pool on our last day as went out travelling around the islands on most days, which was very clean and the temperature was perfect. The services were outstanding. Never saw on any other places we visited the room so clean. Lock in a great price for Sunrise Studios – rated 9.2 by recent guests! 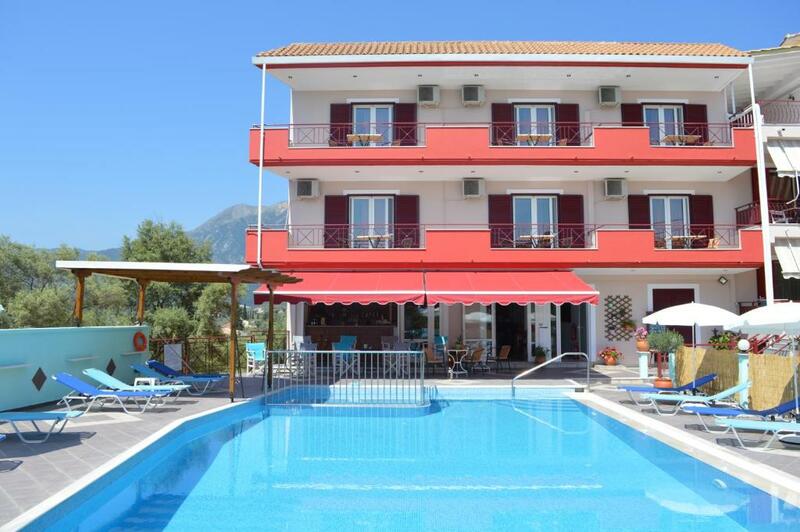 Located in Perigiali of Lefkada, just 500 feet from the beach, Sunrise Studios features a swimming pool, a sun terrace with sun loungers and a poolside bar. 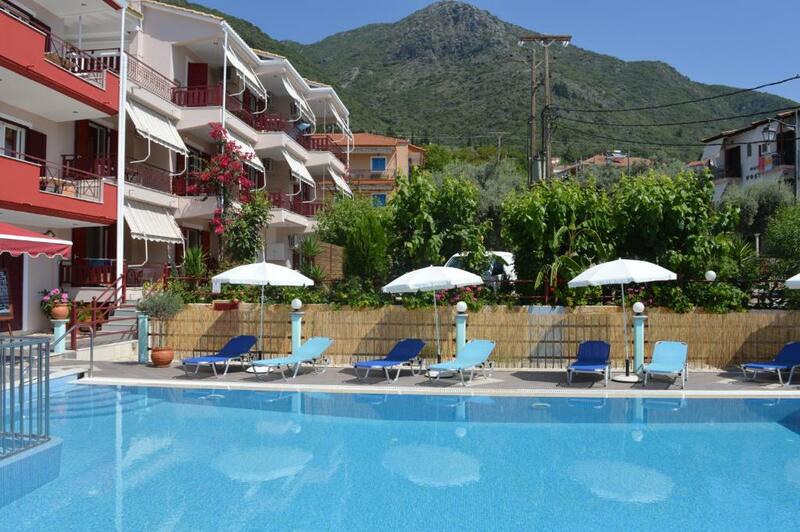 Its self-catering units enjoy Ionian Sea or pool views. Free Wi-Fi is available in all areas. All studios of Sunrise are fitted with tiled floors, dark-wooden furnishings and earthy colors. Each air-conditioned unit has a kitchenette with dining area, fridge and cooking hobs. A safe and a TV are available. Guests can start their day with a buffet breakfast served daily at the dining area. Drinks, coffee and light meals can also be enjoyed at the on-site bar throughout the day. The center of Nydri, where a variety of bars, restaurants and supermarkets is featured, is located 2,650 feet from Sunrise Studios. The scenic Lefkada Town is at 11 mi, while Agios Nikitas Village is 16 mi away. Free private parking is possible on site. When would you like to stay at Sunrise Studios? 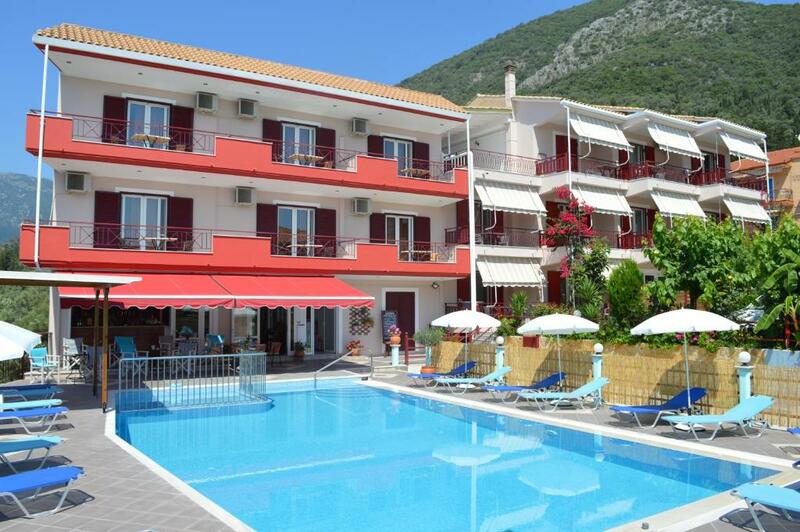 Overlooking the Ionian Sea from its balcony, this air-conditioned studio has a kitchenette with dining area, fridge and cooking hobs. A safe, a TV and free Wi-Fi are available. Offering pool view from its balcony, this air-conditioned studio has a kitchenette with dining area, fridge and cooking hobs. A safe, a TV and free Wi-Fi are available. This apartment has a kitchenette, balcony and view. House Rules Sunrise Studios takes special requests – add in the next step! Sunrise Studios accepts these cards and reserves the right to temporarily hold an amount prior to arrival. Everything was perfect except a rooster that started to sing every morning at 5. The bed was a little hard for out liking, but this maybe fine for others and other friends staying in the area said theirs was too, so maybe this is normal. Occasional internet connection. Swimming pool closed to early, at 18:00 hrs. Clean and calm. Aircondition worked very well. Pleasant staff. Places for visiting in Nidri and at its main street are a bit far by walk needing to walk around with the increased traffic at evening. Sometimes a noise from the running traffic from main island road could be heard. Friendly staff, housekeeping at very good level. Rooms oriented to seaside give nice view and relaxing moments. Going to beaches around require travel by car. 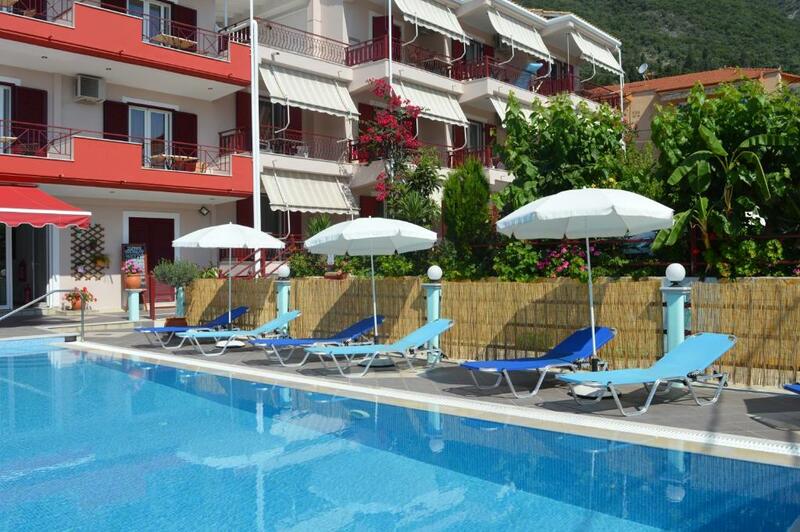 comfortable unit with nice balcony overlooking the pool and the sea. Staff made us feel very welcome. 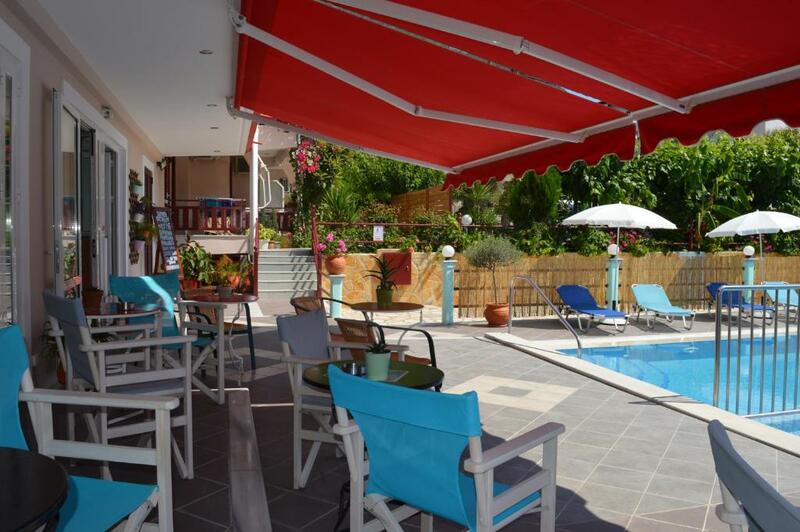 Short walk to the beach, bakery, supermarket and restaurants. 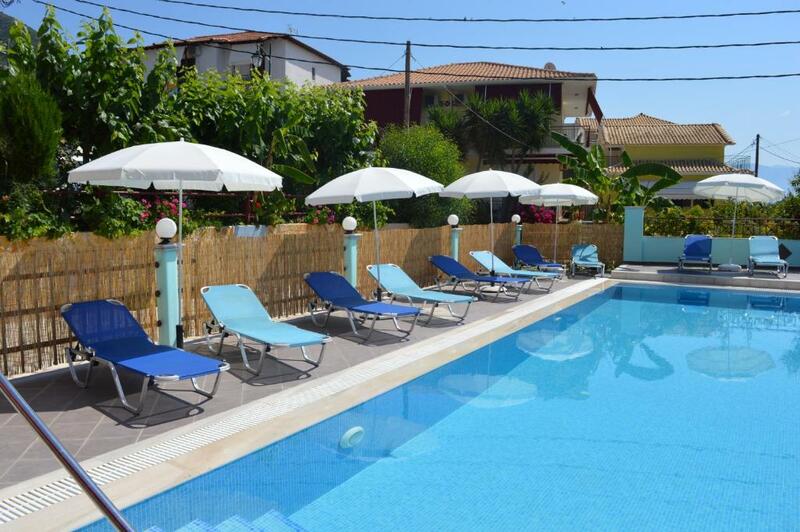 Lovely view, great pool to cool off and sun beds. Plenty of space in our studio, certainly would book again.